Synopsis: Faith Holland left her hometown after being jilted at the altar. Now a little older and wiser, she’s ready to return to the Blue Heron Winery, her family’s vineyard, to confront the ghosts of her past, and maybe enjoy a glass of red. After all, there’s some great scenery there…. My take: Kristan Higgins is an auto-buy author for me. I pre-ordered The Best Man months ago and finally got around to listening to the audiobook. When I buy a Kindle book there’s a good chance the audiobook edition will be offered at a reduced price at Audible. That was the case for The Best Man. Kristan Higgins had me alternately laughing and sighing the more I got into the book. 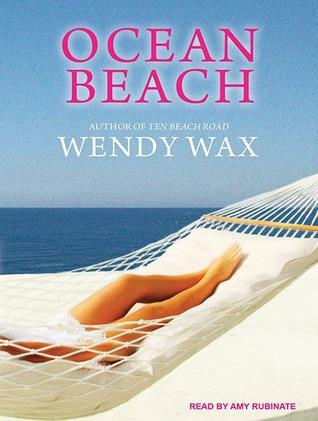 I loved listening to Amy Rubinate’s narration. She voiced the characters perfectly and her timing was a good match for Higgins’ story. I loved Faith and Levi. They’ve known each other since early school days and then Levi was the best friend of Faith’s fiancé. He’s also the reason Faith was left at the altar but not for the reason you’d think. Both Faith and Levi had been wounded by the loss of a loved one when they were young. Despite that, or maybe because of that, they seemed a good match – first as verbal sparring partners and then as romantic partners. 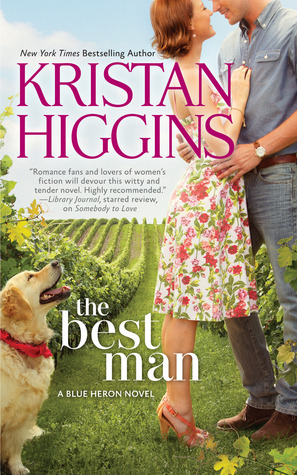 Their path to a ‘happily ever after’ was a bit twisty but I knew Higgins would wrap it up perfectly – and she did. The Best Man is the first in the Blue Heron series and I can’t wait for the second, The Perfect Match. Good thing I don’t have to wait too long. It’s set to publish at the end of October.